The massive canvases of the Hudson River School painters thrilled 19th century American viewers who attended unveilings like current audiences attend theatrical events or rock concerts. Viewers waited for hours in lines that wrapped city blocks in order to attend these New York openings. This first true homegrown breed of American artist, a movement led by the vision of painter Thomas Cole, was collectively called the Hudson River School (1825-75). Though they traveled widely and painted in an endless variety of locations, what united them was a similarity in thought and style. These artists regarded nature as a direct manifestation of God, and the luminous landscape an expression of the divine. 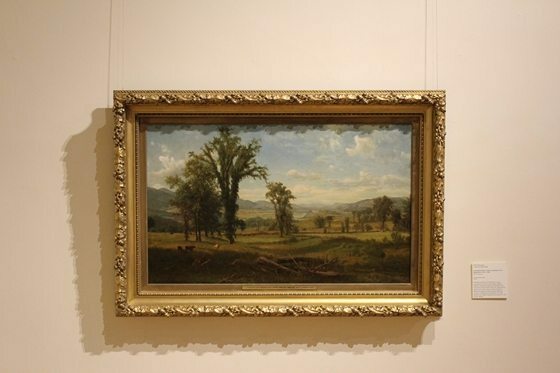 The Hudson River School artists approached nature with reverence, and attempted to record what they saw as accurately as possible with the detailed care of a naturalist.